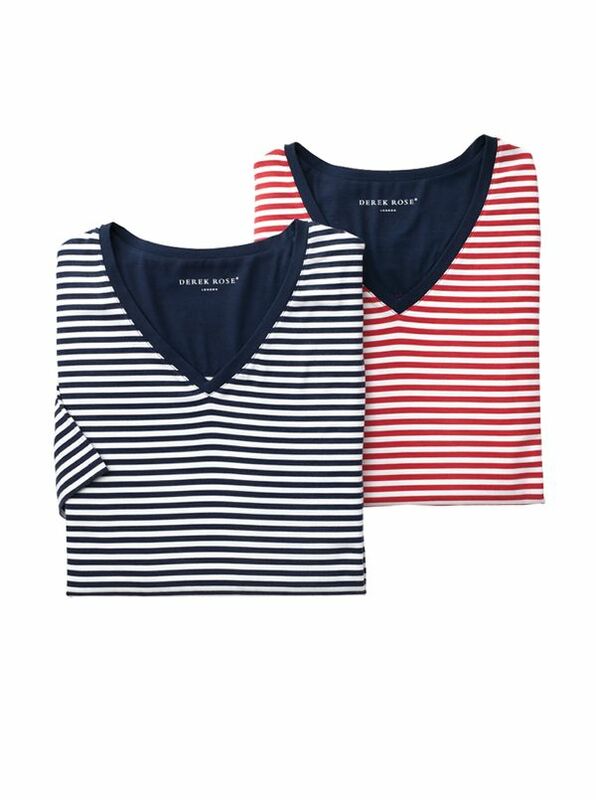 Derek Rose Stripe Short-Sleeve Modal V-Neck Tee Shirts. Night-And-Day Wear from Derek Rose is made of fine mircro modal, a natural fiber with the luxe smoothness and softness of silk combined with breathability and washability. With 2% Lycra for stretch.